Canadians are like the Kiwis of North America. 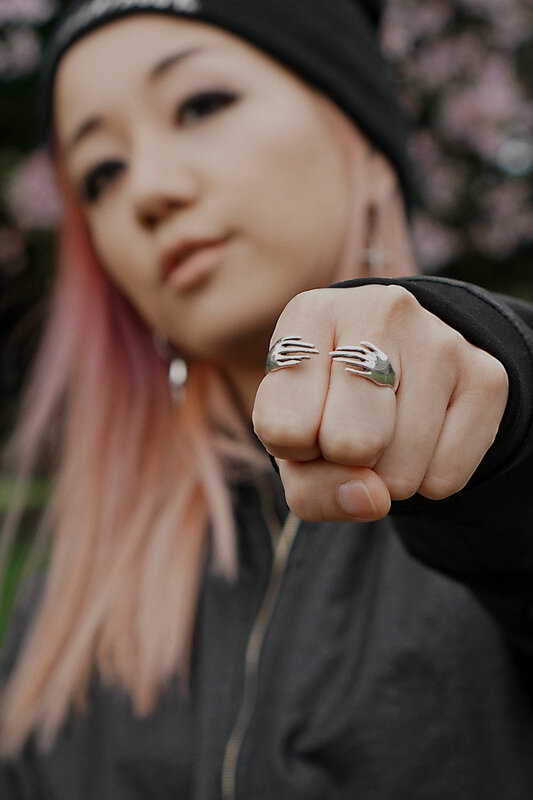 A couple of months ago my boyfriend showed me the Instagram account of this Canadian jewellery label, Captve. My jaw dropped. I instantly fell in love with the insanely beautiful, intricate designs. Hailing from Montreal, Captve straddles the realm between jewellery and sculpture. Every piece is a hand-carved work of art. I’m honestly shitting myself at this amazing opportunity to collaborate with Captve and do a photo shoot for their Manus collection! In this shoot, I wore the Manus Ring, the Manus Double Finger Ring, the Manus Arm Necklace and the Ruin I Ring. 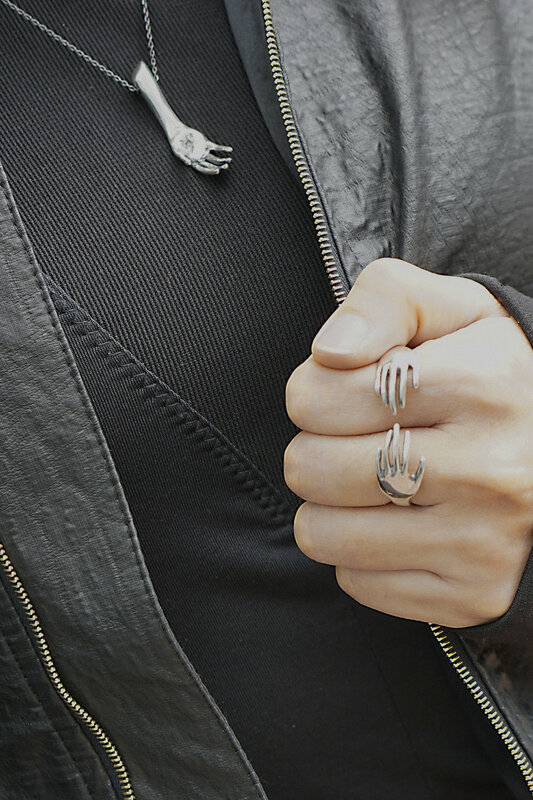 Manus Ring + Manus Double Finger Ring + Manus Arm Necklace + Ruin I Ring. The whole shebang. I’ve tried these pieces with some other outfits for another photo shoot and the jewellery matched perfectly with the different styles I was rocking. What fascinates me is that, whether you’re a girly girl, a tomboy or somewhere in between, these pieces just seem to be able to adapt to the aura of the wearer and tell the story of whoever that’s wearing them. I believe this unique quality came from the creative process. When the maker creates an object with love, the object carries a storytelling quality - because it has soul in it.